Custom Golf Carts Columbia has everything you need in a SC Summer golf cart sale. We specialize in building the cart that is right for your life style. People use golf carts in various ways, whether it be hunting, gardening, neighborhood transportation, business use, or pleasure. We build them from mild, to WILD. You can select your own color, wheels and tires, seats and all the accessories that you can think of. We currently have SC Summer deals on custom paint jobs and more! SC Summer golf cart sale – where are we located? 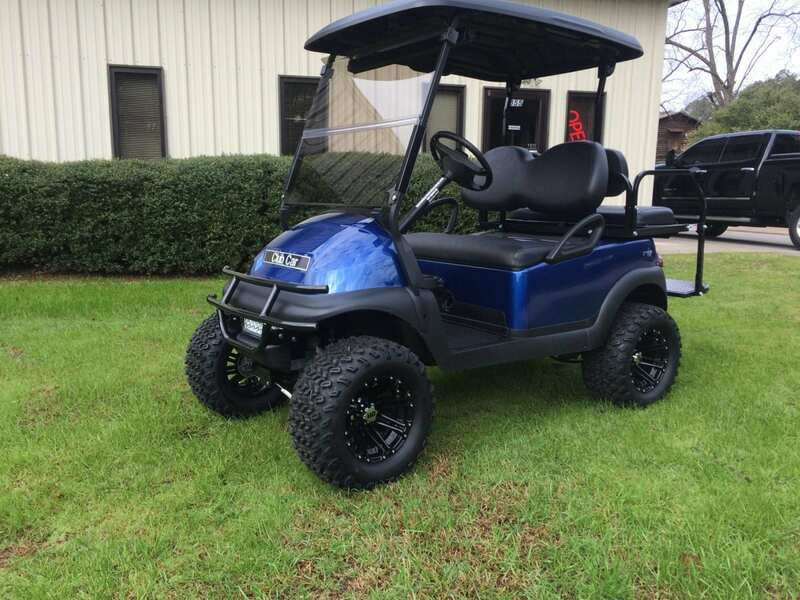 Custom Golf Carts Columbia is conveniently located at 519 Chapin Rd, Chapin, SC 29036. Our SC Summer golf cart sale is going on now through the end of the season! Custom Golf Carts Columbia has a friendly, knowledgeable staff and a hassle free environment to provide our customers with an easy, convenient buying experience. Browse online at what we have to offer or call us and speak with one of our customer sales representatives. These deals won’t last at our SC Summer golf cart sale, so call 803-941-7523 today to get your custom golf cart started! Click HERE to browse our carts. If you are wondering where to go for your SC Summer golf cart sale, look no further than Custom Golf Carts Columbia. See below some of our satisfied customers and their reviews on Google. See for yourself why we have 4.8 out of 5 on Google!